Was created as a final resting place for the departed members of the parish. 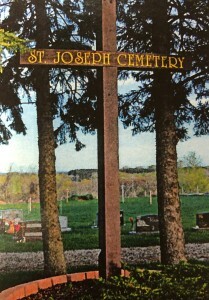 The Cemetery Association provides an environment that is pleasant, attractive and well maintained for Saint Joseph Parish members and their families. The Cemetery is located on Seminary Road in the Town of Oneida. Members as well as non members may purchase a site. For more information contact the parish office at 920-869-2244.